Apple and Google have further tightened their grip on the smartphone OS market; they had a market share of 96.1 percent last year, up from 94 percent in 2013, according to Gartner. However, that hasn’t deterred Mozilla, Samsung Electronics, Canonical and Finnish start-up Jolla from developing their own OSes. At Mobile World Congress they all showed commercial devices for the first time. Mozilla’s Firefox OS and Samsung’s Tizen have user interfaces that are very reminiscent of Android, but Canonical with Ubuntu Phone and Jolla with Sailfish have been either brave or stupid enough to try something different. The birth of Ubuntu Phone hasn’t been the easy. Canonical’s aspirations first made headlines in 2013 when it launched an Indiegogo project to collect $32 million to produce the Edge smartphone, which was supposed to ship in May last year. 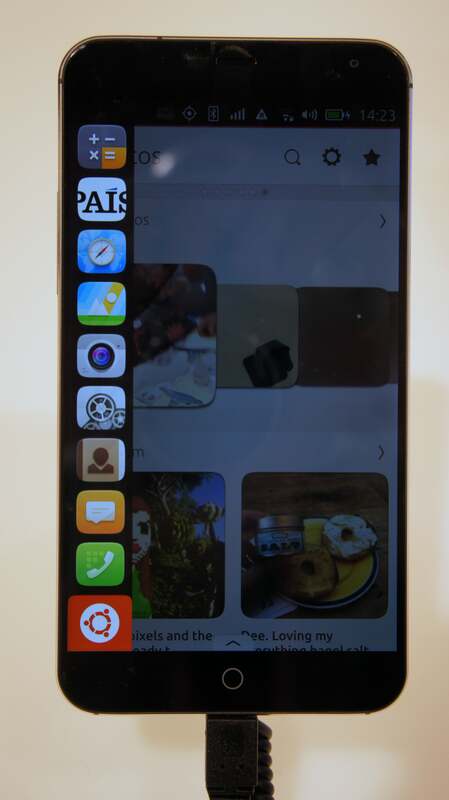 At Mobile World Congress, Canonical also demonstrated Ubuntu Phone running on the Meizu MX4 LTE smartphone. It’s the better of the two with a specification that includes a 5.4-inch, 1152 x 1920 screen, a 20.7-megapixel camera and up to 64GB of integrated storage. When I tested Ubuntu Phone running on the Meizu MX4, which will go on sale soon, the OS still felt a little rough around the edges, but I like the basic concept of the scopes. It would be a shame it Canonical wasn’t able to develop its full potential. The company shipped the first smartphone running its Sailfish OS at the end of 2013. 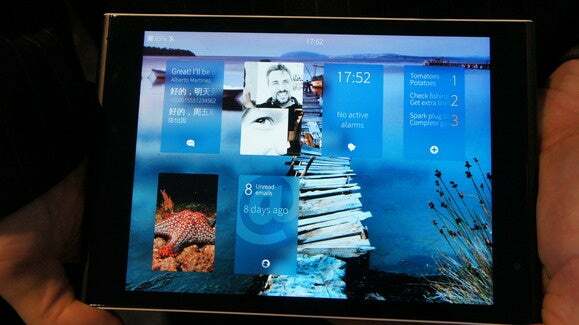 It’s now working on a tablet, which was demonstrated at Mobile World Congress running Sailfish 2.0. The navigation in this upcoming version of Sailfish feels even more straightforward than Ubuntu Phone’s. Sailfish is also based on gesture navigation. The home screen shows large icons of running apps, and with a swipe from the left users can access a screen that aggregates messages and some settings. To get back to the home screen from an app users just have to swipe from either side. It’s a pretty easy concept to grasp even if you haven’t used the platform before. There is no doubt that Jolla and Ubuntu as well as Samsung and Mozilla face massive challenges. Windows Phone’s struggles have shown how difficult it is to compete with Android and iOS even if you have massive resources.